Apartments for 3,4 and 5 persons in the house in the first row by the sea (about 30 meters). The apartments have … More » TV/sat and air conditioning. 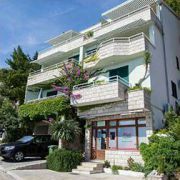 Near the most beautiful beach in Croatia "Punta rata", beautiful view of the sea and islands, the house is surrounded … More » by pine forest, ideal for family holidays. The house has 10 air-conditioned apartments. Parking in front of the house. There is also grocery in the groung floor. 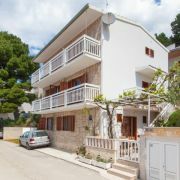 The house is located in Brela, near the famous Punta Rata beach (400m), in the very peaceful area of Brela. There … More » is a supermarket (30m), restaurant (300m) and the center of the resort is 1000m away. Owners do the tourism for thirty years and many guests are happy to come back to this Villa. 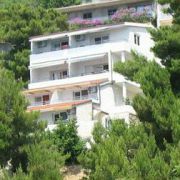 Apartments Brela are situated in part of Brela called Kricak. All apartments in three stars (***) category have … More » fully equipped rooms, kitchen, bathroom, terrace, air-conditioning system and SAT-TV radio and WiFi. 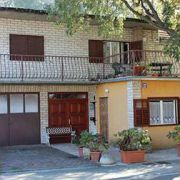 The house is situated 150m from the grocery, fruit-market, coffee bar and restaurant. 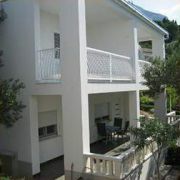 Apartment 170m2, 7+2 beds, 2 kitchens, garden and terrace, free parking and Wi-Fi, 18km from the sea. Ideal for … More » families with children or groups!